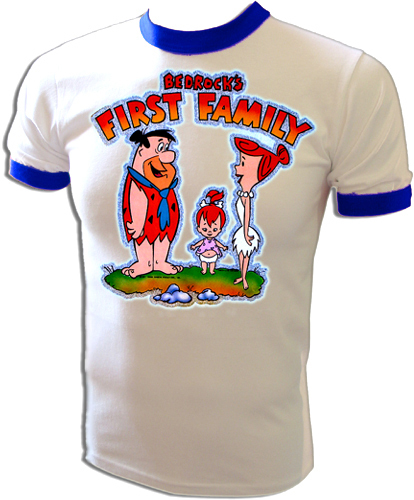 Original Hanna Barbera licensed vintage heat transfer iron-on print on a new and unused t-shirt. 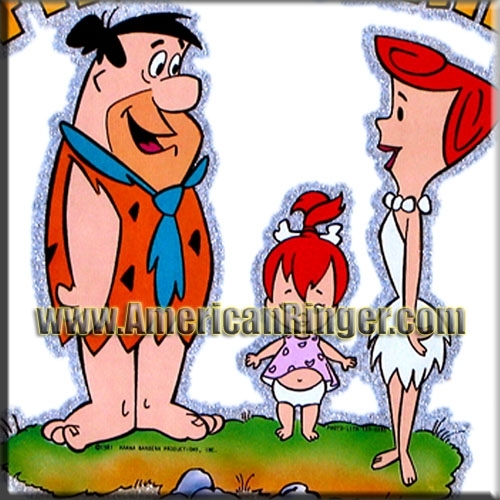 Extremely rare vintage "Flintstone - Bedrock's First Family" glitter iron-on from Hanna Barbera's cult classic TV cartoon 'The Flintstones' featuring Fred, Wilma and PEBBLES! Aren't you glad that they didn't call the show 'The Gladstones!' This is one of the coolest vintage t-shirts around! AmericanRinger.com acquired these and NOBODY ELSE HAS THEM! This is the real deal vintage stuff only available from American Ringer.